When we arrive we get setup to pour within 1-2 hours. We have the capacity to pump 30,000 sq. ft. (of 3/4" depth) per day.  Typically Permafloors is in and out in one day. Before we install your LEVELROCK underlayment we make go through a checklist to make sure the floor is properly prepared. This includes checking for and sealing areas that have a potential to leak material. We also mask off any finished work that is in the area we will be pouring in. We take our preparation seriously to ensure that our work is done in a clean manner. In 1-2 hours the underlayment is chemically set and can be walked on. Other trades can begin work again after 24 hours. After the floor is chemically set to walk on we will go through the site and do a thorough clean up of our area because you do the same for us. Before we leave our foreman will do a walk-through with the Project Manager on site.